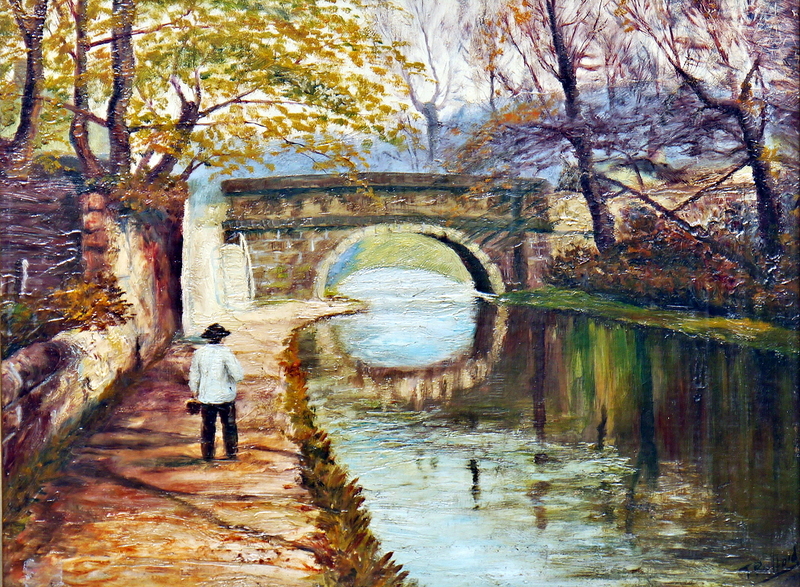 A correspondent is anxious to identify the location shown in a painting of a bridge over a canal. It is most likely that the scene is somewhere on the wider waterways of northern England. It is just conceivable that it might be in Ireland, though, so I said I’d put a copy up here and see if anyone can identify it. If you can, please leave a Comment below. 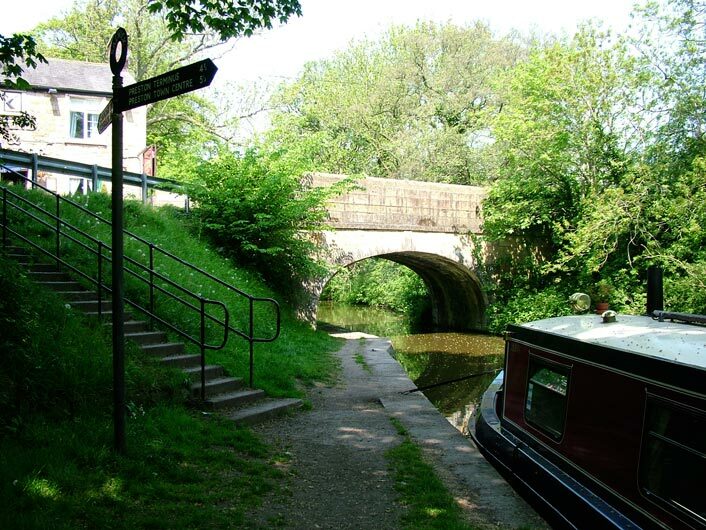 This entry was posted in Built heritage, Canals, Engineering and construction, Foreign parts, Industrial heritage, Roads, waterways and tagged bridge, canal. Bookmark the permalink. Looks like a Leeds & Liverpool bridge, I’ll pass it on to a local expert.